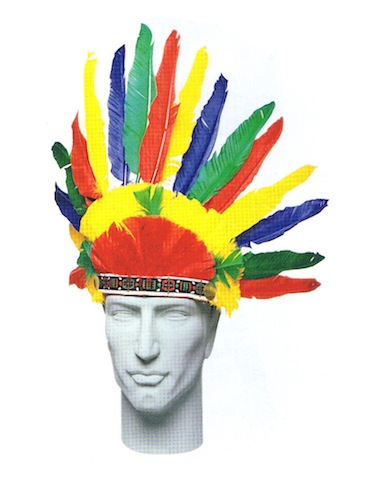 This indian headdress is covered in bright and colorful feathers! The fisnishng touch to any Native American costume. Adult sized.